All speech-language pathologists, as part of their speech therapy education, study psychology. Since psychology is concerned with the full range of what makes us human, it is not surprising that the scope of the discipline is extensive. It has diverse roots – in medicine, philosophy, biology, psychoanalysis and ethnography. Psychological knowledge, like all knowledge, is a product of different cultures, historical periods, ways of thinking, developing technologies and the acceptability of different methods and kinds of evidence. There is no single right way to answer psychological questions: psychology, at the beginning of the twenty-first century, is a multifaceted discipline. This article briefly explains the different methods of behaviorism and cognitive psychology, and the recent shift from investigating mental processes to studying how meaning is understood through language. In the 1960s, there was a so-called cognitive revolution, a rather dramatic phrase which describes what was indeed an important shift in thinking about psychology. Many (although not all) researchers in psychology began to take a greater interest in what goes on in the mind. This change of perspective led to what is known as cognitive psychology. The shift began with the study of learning, but became established as the study of information processing associated with mental activities such as attention, perception and memory. Researchers in cognitive psychology did not return to introspective methods but devised other ways of testing their ideas about mental processes. They have, for the most part, continued the tradition of using experimental methods but have adapted them to investigate what goes on in the mind; for example, by finding out how well people remember words presented in lists of related words (e.g. ‘fox’ in a list of animals), compared with words presented in lists of unrelated words (e.g. ‘fox’ in a list of furniture). A clear behavioural measure (the numbers of words remembered) can be used to make inferences about how the lists have been processed and how memory works. This scientific experimental method continues to be dominant within psychology. More recently, there has been a second cognitive revolution; this time the shift being a broadening of focus from mental processes to studying how meaning is understood through cultural practices and language. As a result there are a variety of methods available to psychologists who want to study language and culture. And many psychologists who conduct experimental investigations of cognitive or social processes now also attend to participants’ own accounts of their experiences, using such things as meaning and language-based methods. All areas of psychology are increasingly concerned with investigating issues relevant to people’s everyday functioning and their social and cultural contexts. 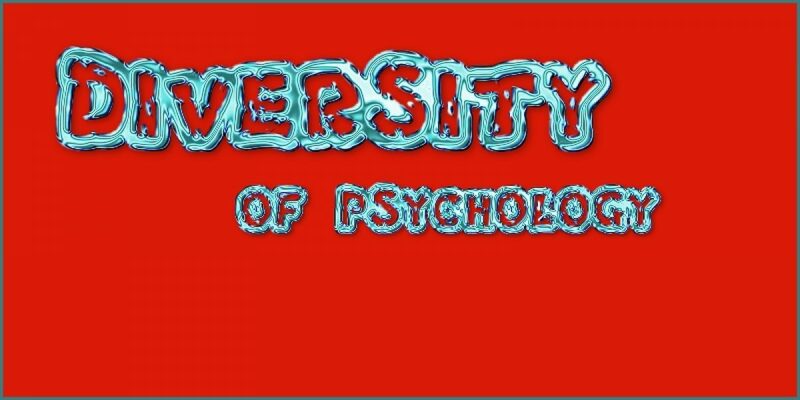 The practical and professional application of psychology is important in many areas of life. An understanding of psychology is increasingly important in a range of settings such as speech-language pathology (speech therapy), education, the workplace, sport and mental health. More and more, researchers are investigating areas of immediate practical concern such as dyslexia, stress, police interviewing of eye-witnesses, and autism. So, whilst earlier traditions like psychoanalysis or behaviorism still contribute and produce important innovations, the discipline of psychology has continued to develop in ways which have fostered an ever broader range of perspectives. No one approach is either wholly right, or adequate, for answering all psychological questions. As a result, psychology is now seen as legitimately multifaceted, with many traditions such as speech-language pathology working in parallel, and also drawing on other disciplines and their methods for inspiration. This article draws on ‘Psychology in the 21st century’. An OpenLearn (http://www.open.edu/openlearn/) chunk reworked by permission of The Open University copyright © 2016 – made available under the terms of the Creative Commons Licence v4.0 http://creativecommons.org/licenses/by-nc-sa/4.0/deed.en_GB. As such, it is also made available under the same licence agreement.